This is one of my favorite designs. I have made multiple products for myself from this particular design! Gorgeous and elegant tulips in beautiful shades of pinks. 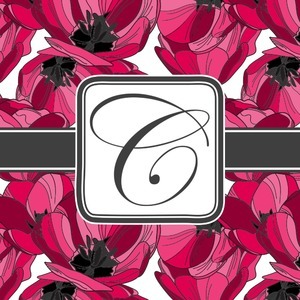 The tulips design has a classic ribbon in dark grey along with square label for your personalization.